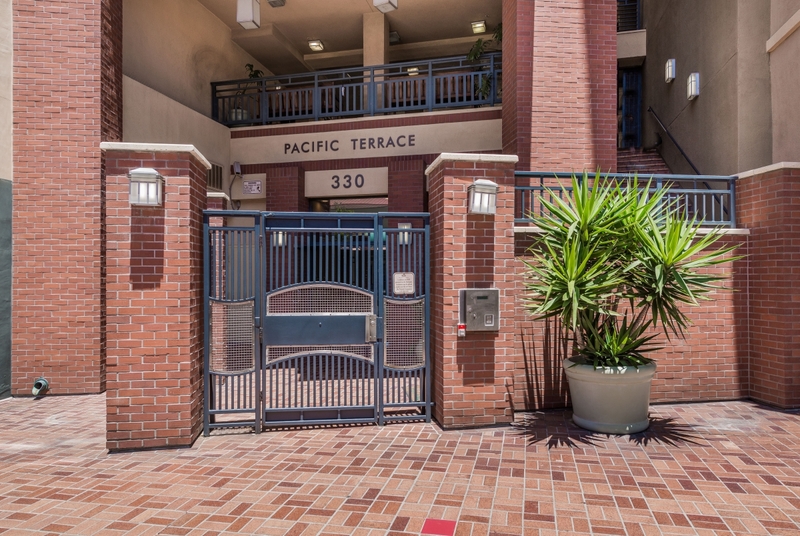 Pacific Terrace, located on the north side of J Street between Third and Fourth Avenues, was built in 2003 and is noted for its unique architectural design. 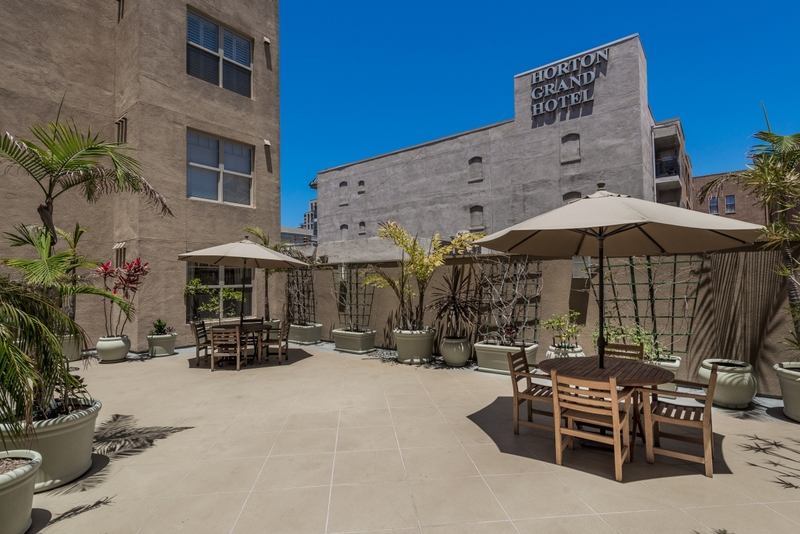 The building is comprised of the six-stories and 57 units ranging from one-bedroom to two-bedrooms, some of which contain a den. 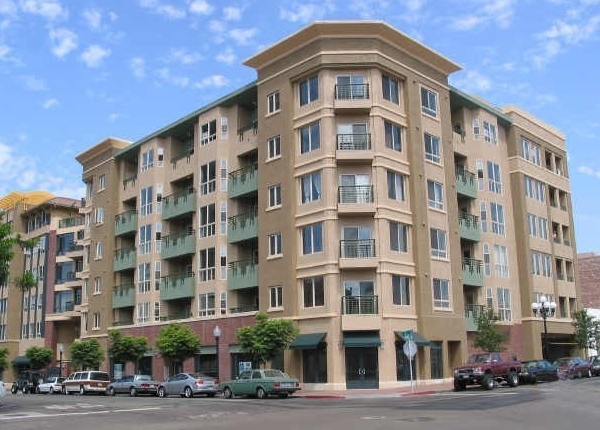 Homeowner’s association fees range from the $300’s to the $400’s. 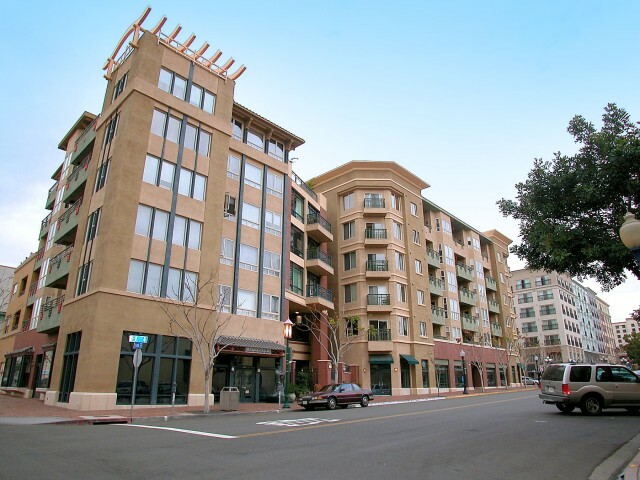 Units in the building range from 600 to 1250 square feet. 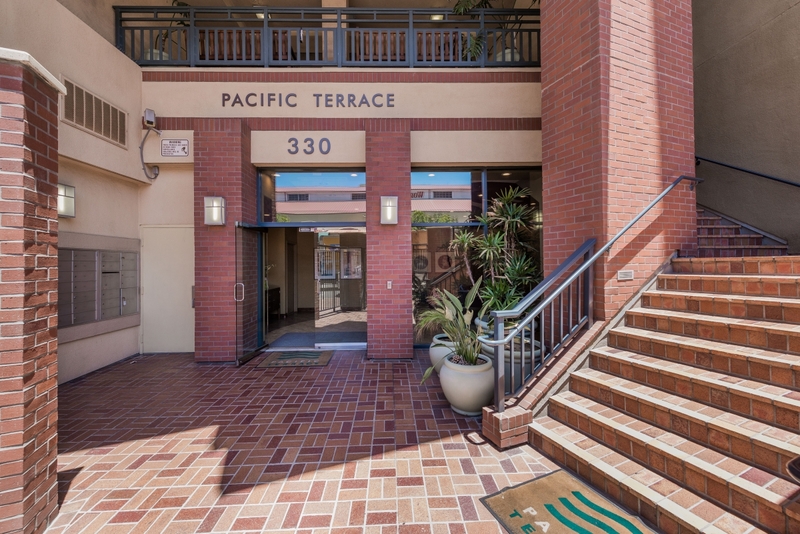 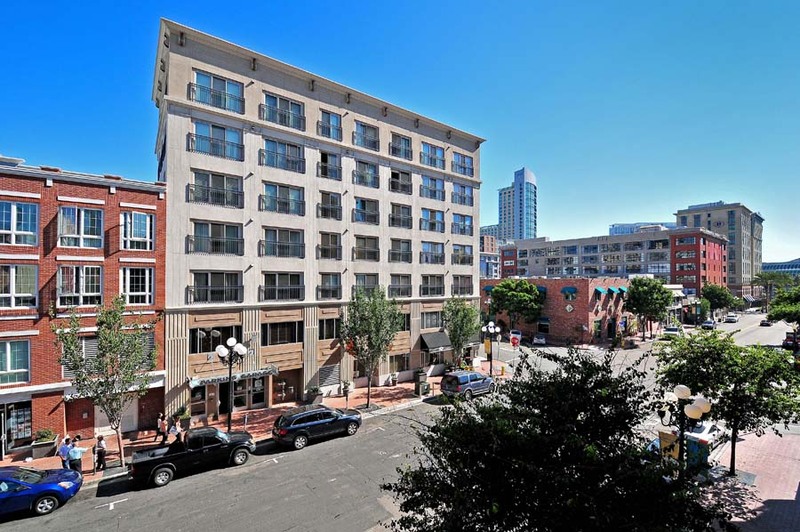 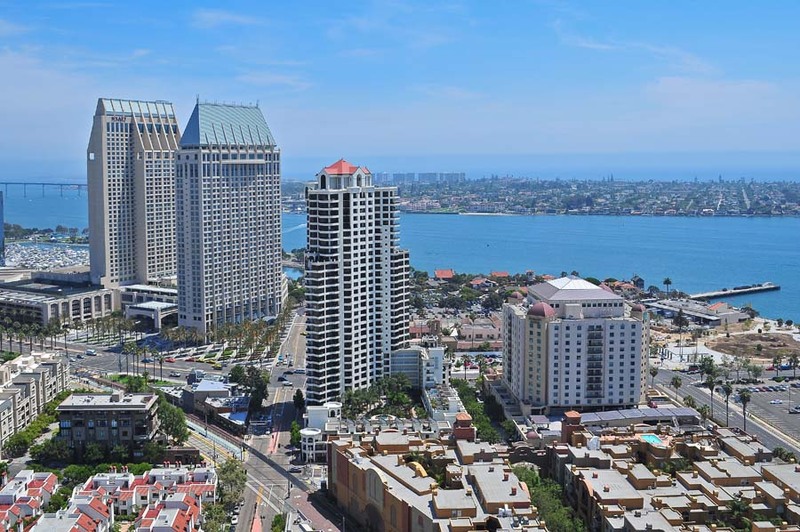 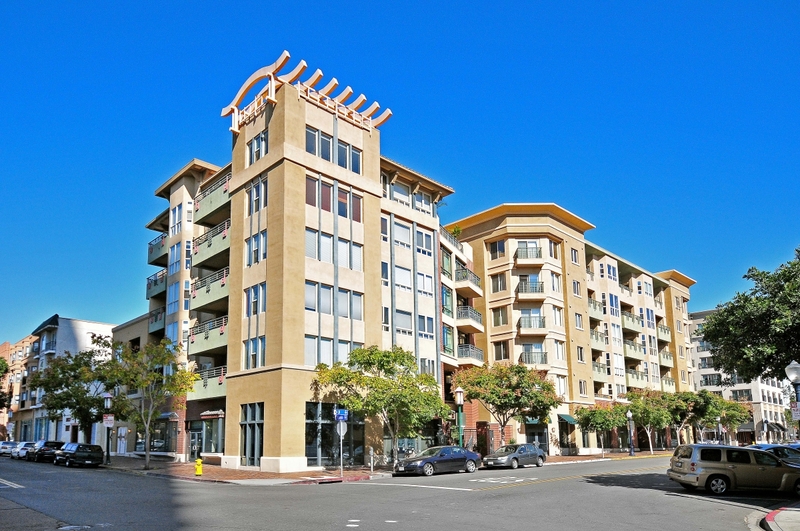 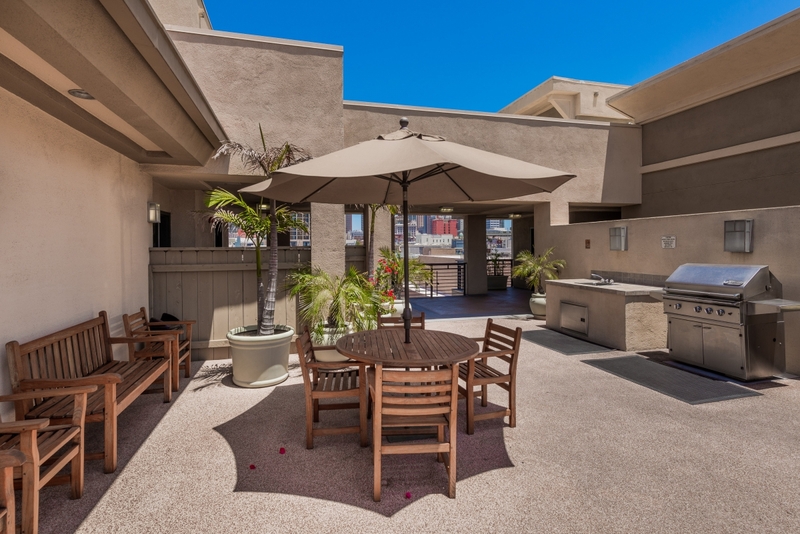 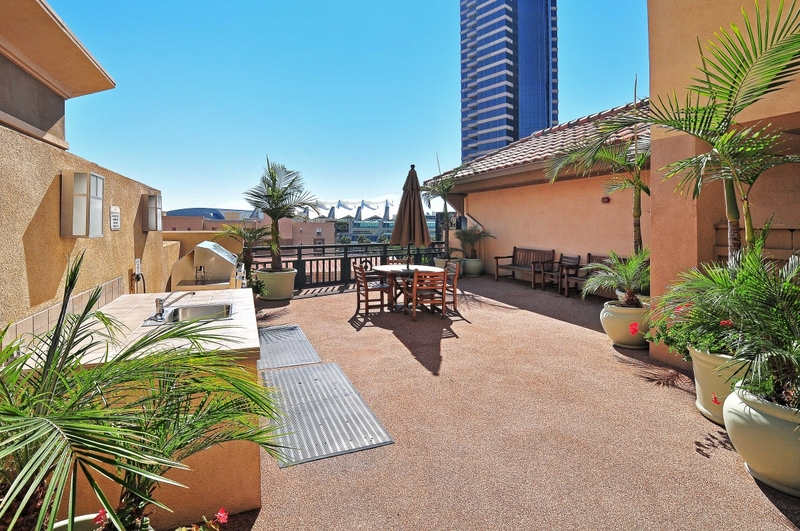 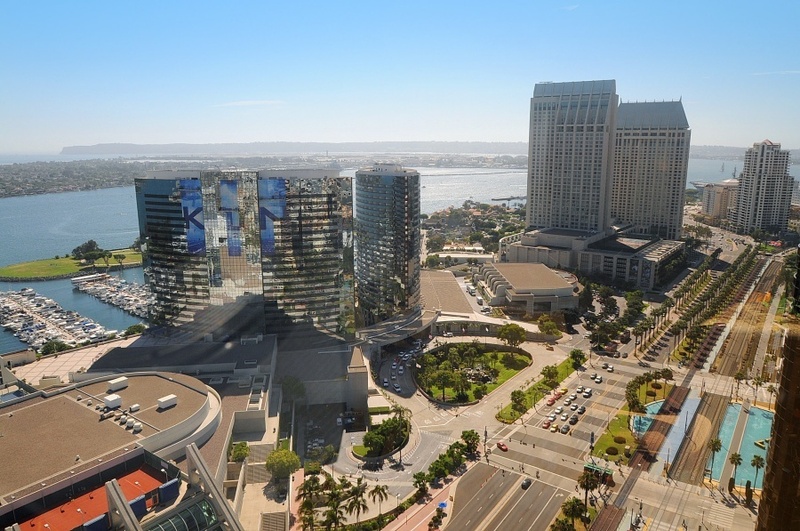 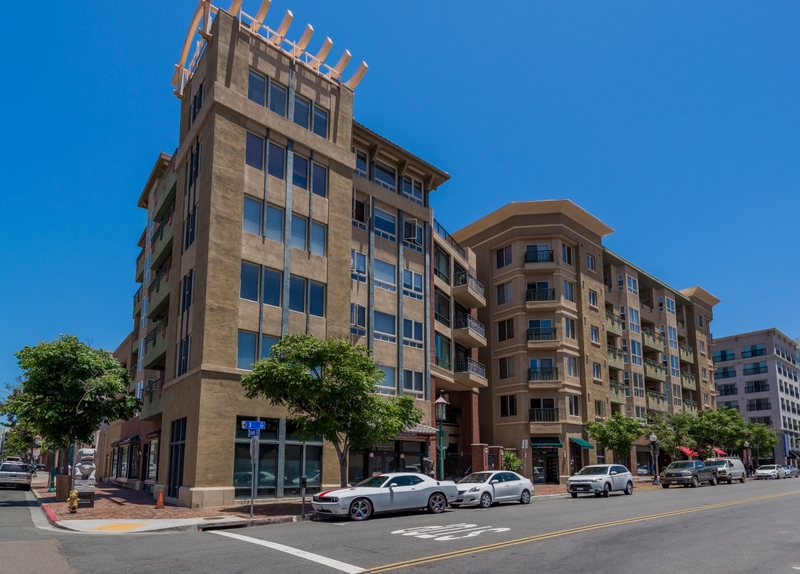 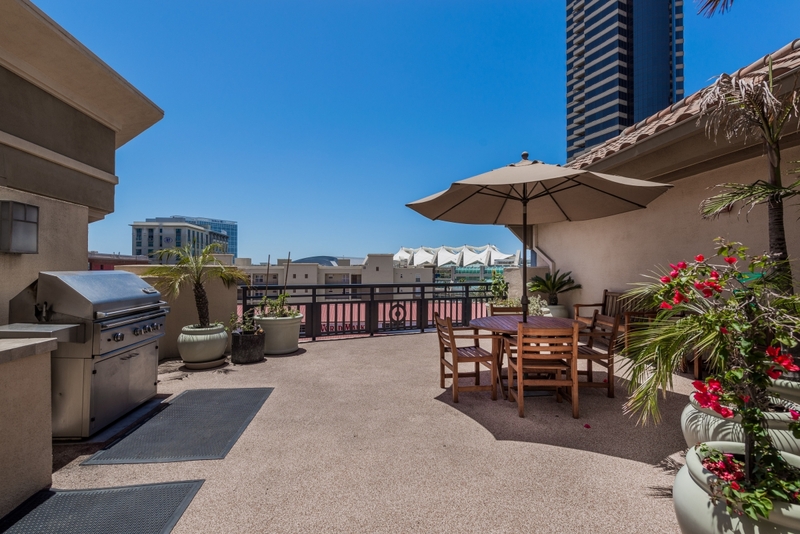 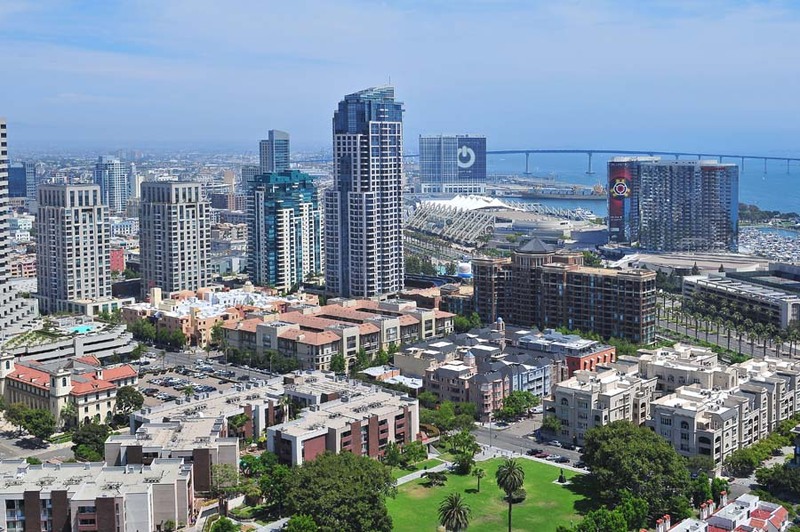 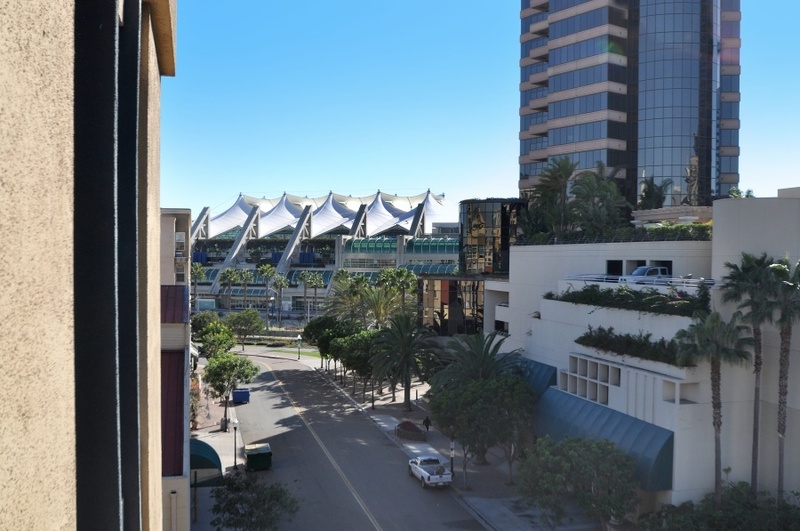 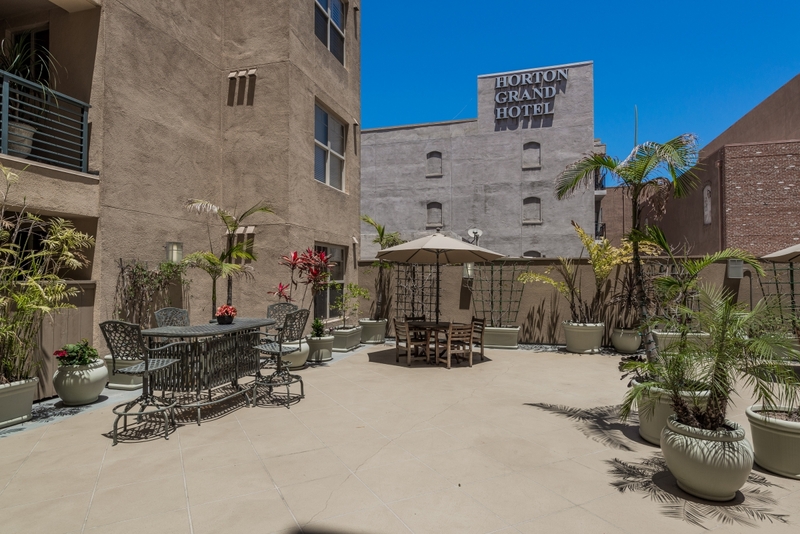 Residents are able to take advantage of the large windows and balconies to enjoy views of the Harbor, Ballpark, surrounding mountains, and Gaslamp Quarter. 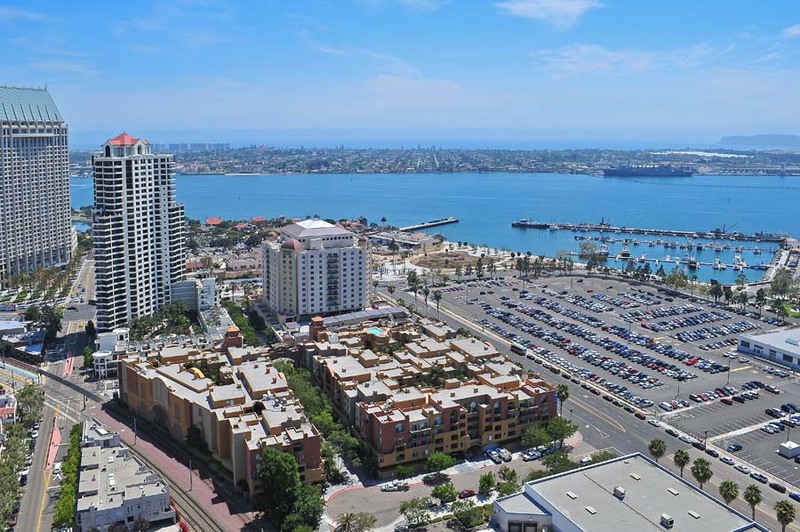 The home of the San Diego Padres is 3 short blocks away and residents can walk to the harbor for a day of fun in under five minutes. 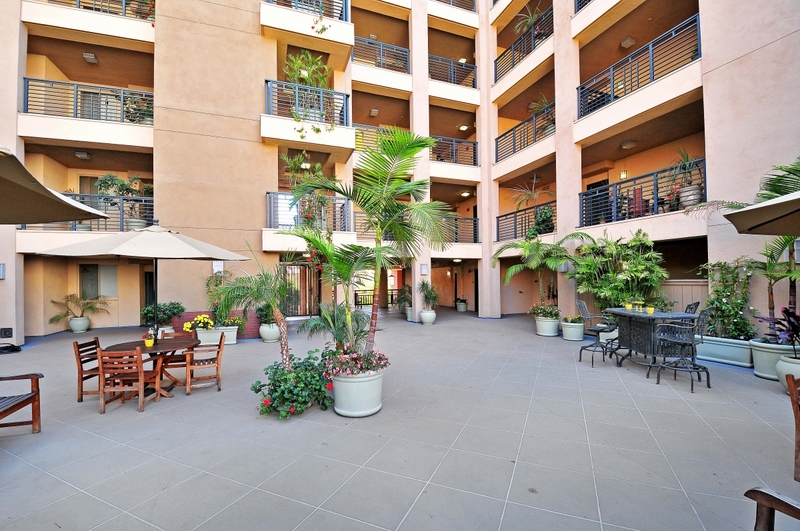 The grounds of Pacific Terrace consist of an impeccably landscaped courtyard and an entry foyer. 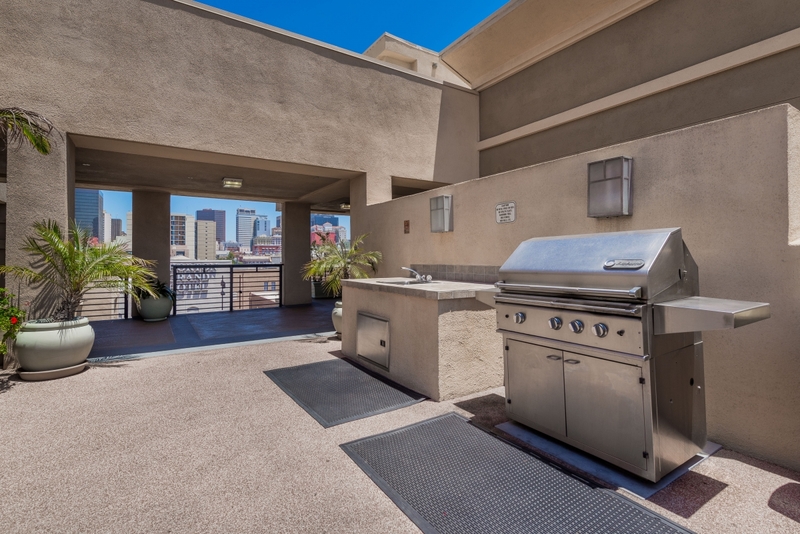 Residents interested in hosting a get-together have access to the sundeck and barbeque area on top of the building. 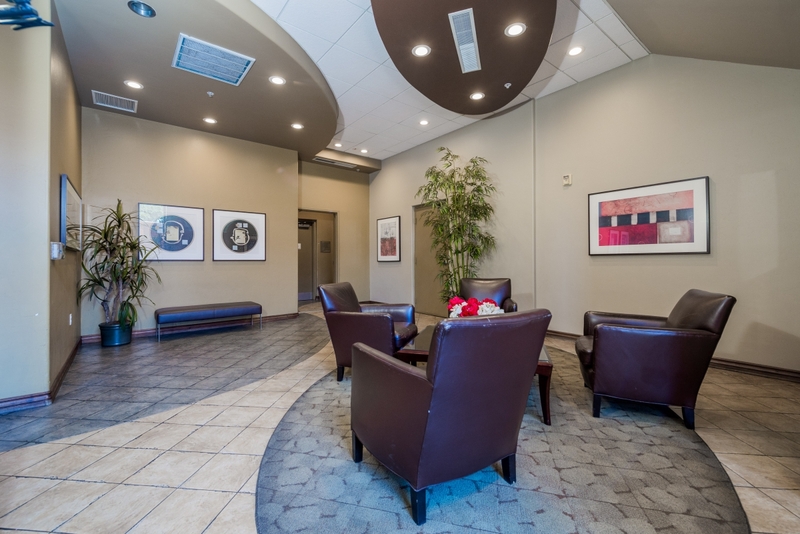 The complex also includes a cozy lobby area and gated underground parking. 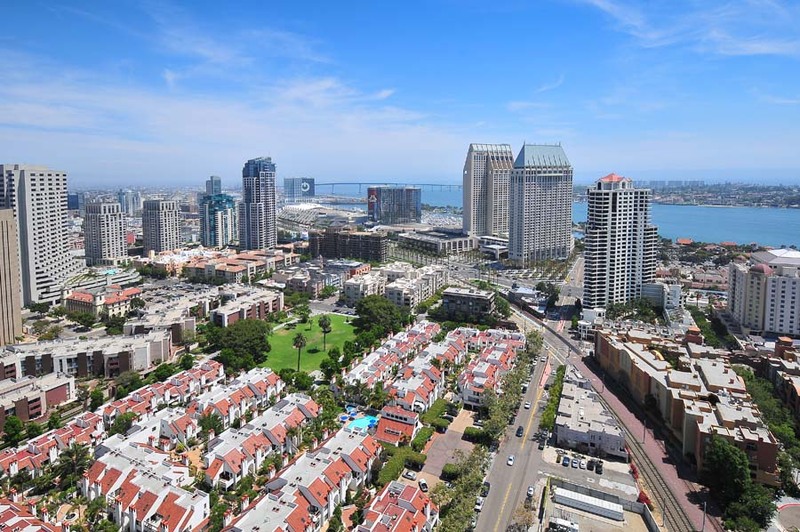 Contact our Team to get alerts when new properties hit the market.